The next training to become a WSU San Juan County Master Gardener will take place on Tuesdays, Jan. 29th – March 26th 2019 at the San Juan Island Grange. Volunteer trainees will receive over 60 hours of training – both in class and online. After the training, you provide at least 50 hours of educational outreach in the community over a one-year period with the Master Gardener program to become a certified Master Gardener. Class topics include soils, plant disease and management, water quality, composting, and weed identification, and are taught by local and regional experts. Take a look at the WSU Master Gardener Volunteer Position Description to see if becoming a Master Gardener would be a good fit for you, and read the Become a WSU San Juan County Master Gardener information sheet. 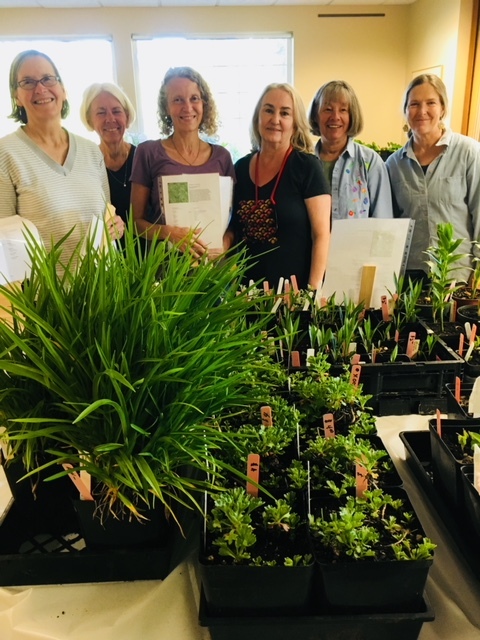 Applications for the 2019 WSU Master Gardener Program are now closed.